Scalable from the smallest to the largest utilities. A Complete billing solution for your utility. Cut late payments with 24/7 account access, Quick Pay, automatic payments and more. CUSI knows that each client has different accounting needs. Make your data work for you and your team work efficiently. 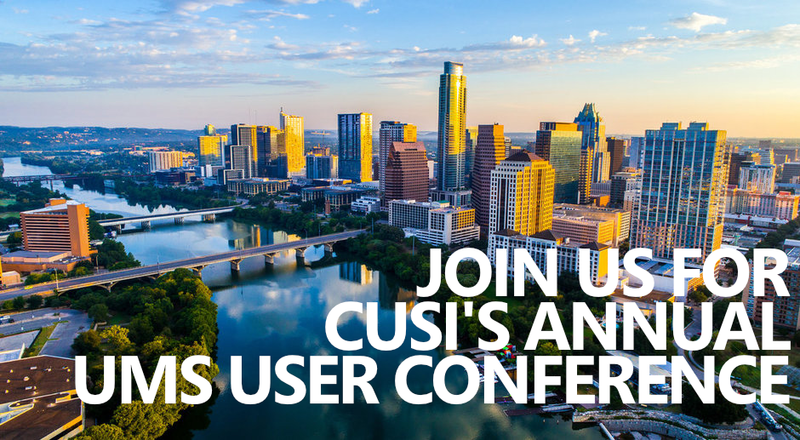 From onsite training to our multiple support channels, CUSI is here for you. CBSW Version 12.5 is near! What’s New in CUSI’s Implementation Department? Continental Utility Solutions, Inc. demonstrates best-in-class capability and market leadership through demonstrated technology success and customer commitment. The CBSW Secure E-Bill Module allows a utility company to go “paperless” for any customers who opt in, by sending an e-mail with an attached PDF of a customer’s bill or Late Notice (Penalty, Interest, Shutoff, or Tax Lien). The best thing I like about working with CUSI is that all modules are integrated in one place. The same process that took 2 to 3 hours every day transferring data from billing to accounting now requires nothing more than the push of a button. In fact, the integration alone will pay for the entire UMS.Net utility billing system. This is the best billing software and by far the best tech support I’ve ever used. It really stands out that all of the employees stand behind the software 100%. Whenever I call or email with questions CUSI is able to help me immediately. Their demeanor and attitude is wonderful and their knowledge amazes me. I wish more companies had people like CUSI working for them. It would sure make life easier! We love CUSI’s Utility Billing program! CUSI’s staff is always there when we need them! Copyright © 2019 CUSI. All Rights Reserved.